Emergency lighting is required in the event of a power failure. This may come from the electrical company supplying power or a fire within the building or the consumer unit, you must ensure your premises are evacuated safely and quickly (see fire training / fire marshal/warden). 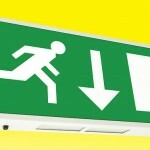 Escape routes and emergency exits need to be illuminated to achieve this. We provide expert advice to help you find a solution best tailored to your needs. 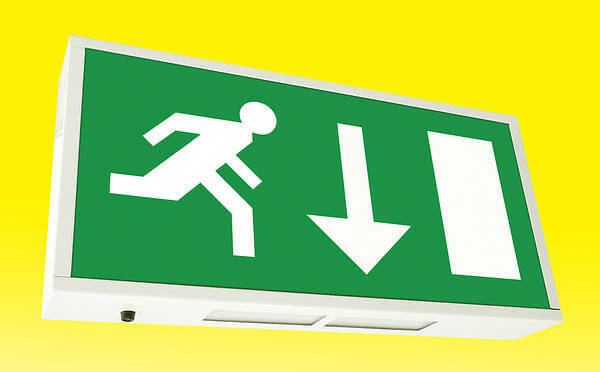 An emergency lighting system consists of a number of “self-contained” or “slave” luminaries. 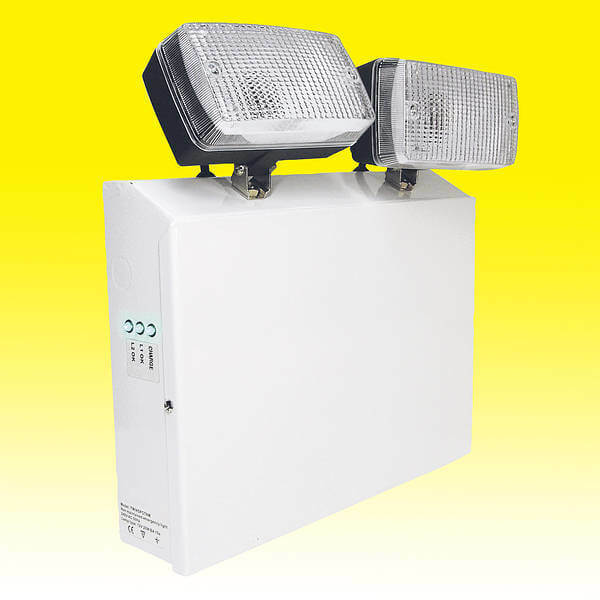 A “self contained” emergency luminaire has its own batteries, charger, mains monitor and lamp driver while a “slave” lighting system requires a central battery bank to provide the power for all the emergency luminaries. The brightness of any light is measured in Lux. A luminaire which can be operated from the normal mains supply and during a power failure will automatically switch to the emergency battery supply. This fitting is only illuminated during a power failure. This consists of two or more lamps, all of which can be operated through the normal mains supply. During a power failure however, only one lamp will be powered from the emergency supply. This consists of two or more lamps, one of which is only illuminated during a power failure. All the other lamps can be operated through the normal mains supply. FFM can design and install the emergency lighting in buildings for public use in the UK this must provide three hours illumination after a power failure. In some commercial properties however, one hour duration may be sufficient. After a power failure has caused the emergency lighting to activate, the building cannot be re-entered until the batteries have enough charge to provide the minimum illumination duration. The lighting installation must comply with statutory authority requirements and the relevant codes of practice for the type of building. Design guidance should be sought from your local fire authority before commencing an installation. As a general rule, BS5266 part 1(2011) states that all exit routes should be illuminated to a minimum of 0.2 lux along the centre of the route with open areas lit to an average of 1 lux. European standards are more stringent and require escape routes to be lit by a minimum of 1 lux, open areas to have a minimum of 0.5 lux anywhere on the floor and areas of high risk to be provided with 10% of normal light level within 0.25 seconds of a power failure. Emergency luminaries require a permanent supply in order to charge the batteries and should be wired from the same point as the general lighting in such a way that unauthorised disconnection is prevented. The wiring to self-contained luminaries should be of a similar type as that for the general lighting. Fire proof cable should not be used as it may prevent the activation of the emergency lighting during fire conditions. We use only the highest qualified electricians to install the emergency lighting systems and this process is monitored from start to finish by a project manager. After the completion of each installation, all luminaries are checked for correct operation and a record sheet is issued to detail the condition, testing and maintenance history. We also log the position and type of all testing facilities, details of wiring conformance and luminaire light output level before issuing a commissioning certificate. 0800 542 3461, or using our online contact form.